Polio is a potentially life threatening acutre viral infection which is highly contagious and may lead to permenant nerve damage causing paralysis of limbs and respiratory muscles. Countries at risk Polio has been largely wiped out over the last century since the introduction of routine polio vaccination. The disease is still however widespread throughout Central Africa and is also present in Asia, Pakistan, India, Afghanistan and Nigeria. The symptoms of polio do not typically appear for 20 days but include fever, headaches, vomitigue and fatigue. In rare cases the sufferer can be permanently paralyzed which may then lead to breathing muscles becoming immobilized and thereby causing death. The childhood vaccination programmes includes a vaccine against Diphtheria, Tetanus & Polio. Once the childhood course is completed travelers need a booster every 10 years when planning on travel to higher risk areas. 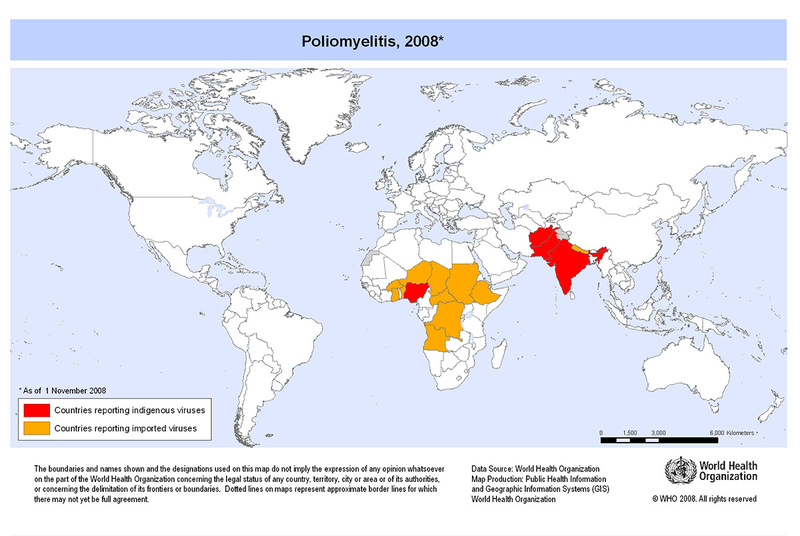 The countries at a higher risk of polio (e.g Pakistan) may ask to see proof of a vaccination if an endemic of the disease while you plan to travel there.